Thinking about selling your home in Frisco, TX? Experience Matters! 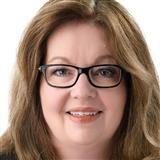 Lynn Slaney Silguero, a Broker Associate as well as REALTOR®, values hands on experience. You will see her from the beginning to the end of the process. Lynn offers a focused and dedicated Marketing plan with precise follow through and results as your listing agent, using the most up to date Internet Marketing. Lynn’s team will provide professional photography, interior design consultation and staging services included in each listing to showcase a client’s property for maximum exposure. Her strong negotiating skills will ensure that contracts and closing all run as smoothly as possible. Lynn has formed a network of contacts for maximun marketing exposure. Her group has been known to sell listings before they actually go on the market! Contact Lynn Slaney Silguero to list your home for sale. She and her team will come to your Frisco, Plano and North Dallas home or office, and present you a plan that details exactly how she will market your home.